Based in Toronto, Canada, Raggedy Angry plays a fusion on sounds ranging from synth-pop, alternative rock, punk and metal all packaged into one slickly produced package. 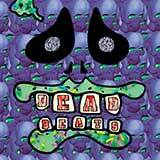 The new album, entitled Dead Beats, is a frenetic mixture of driving guitars, hyperactive vocals, and frenzied electronics. Blending elements from what seems to be every influence under the sun, Raggedy Angry is a compelling act and Dead Beats is a fun, diverse album.